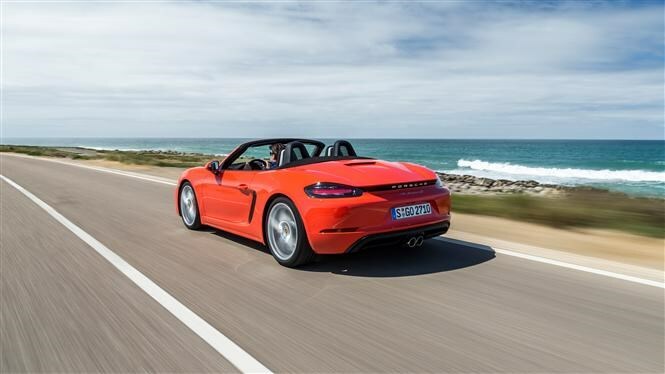 There’s not a lot to go around here in terms of standard equipment, but as you would expect from Porsche, absolutely loads of options. 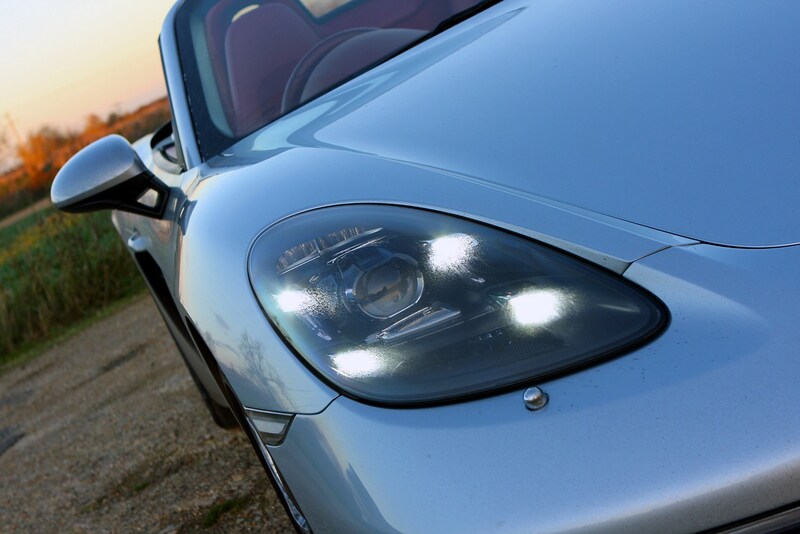 As well as an upgrade to the media system, customers can add adaptive LED headlights and a wide selection of alloy wheel options. 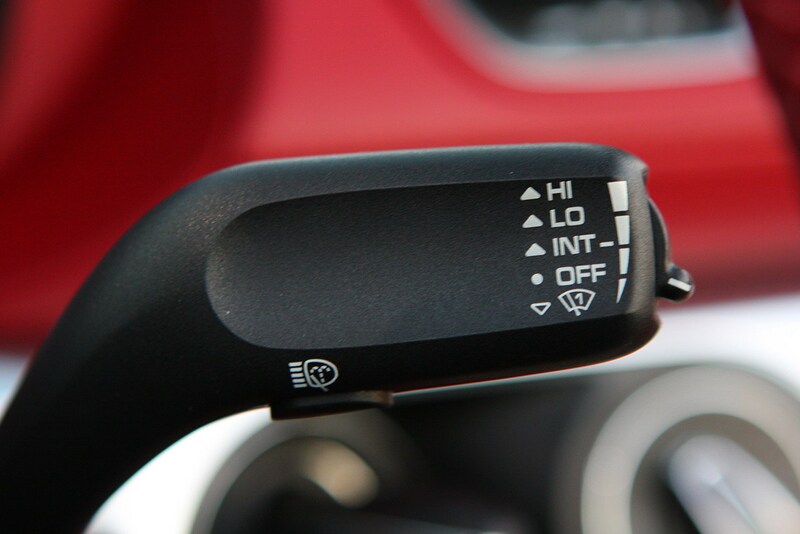 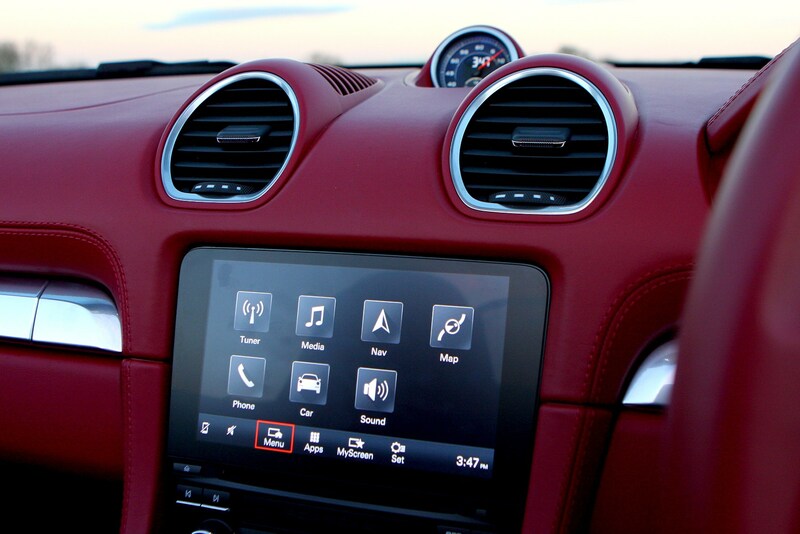 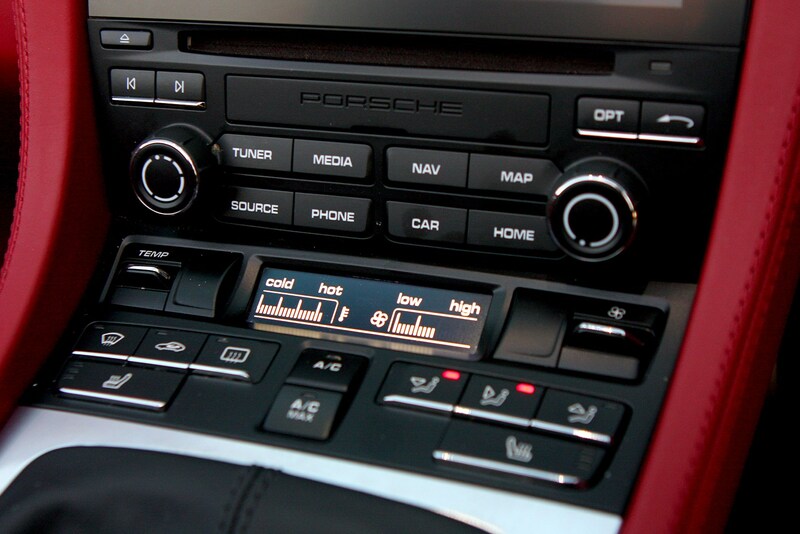 The upgraded Connect Plus infotainment system provides online navigation services and enhanced online audio features, while the Sound Package Plus adds 110 watts of audio power. 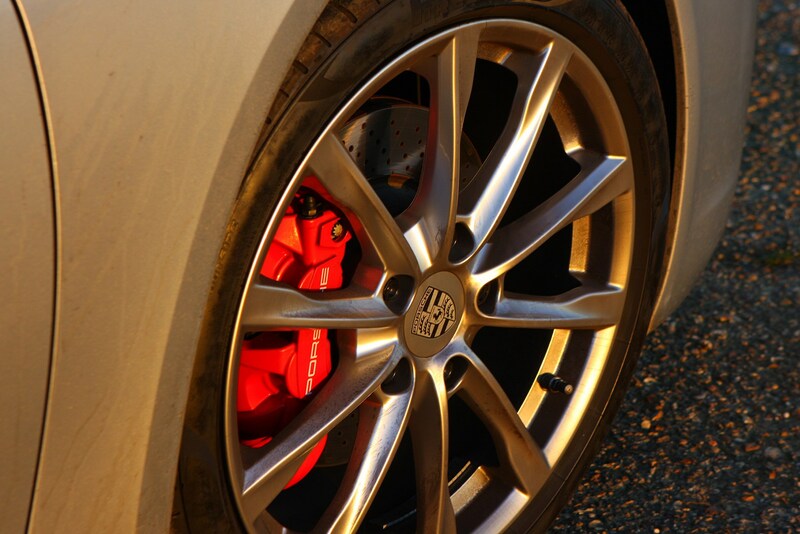 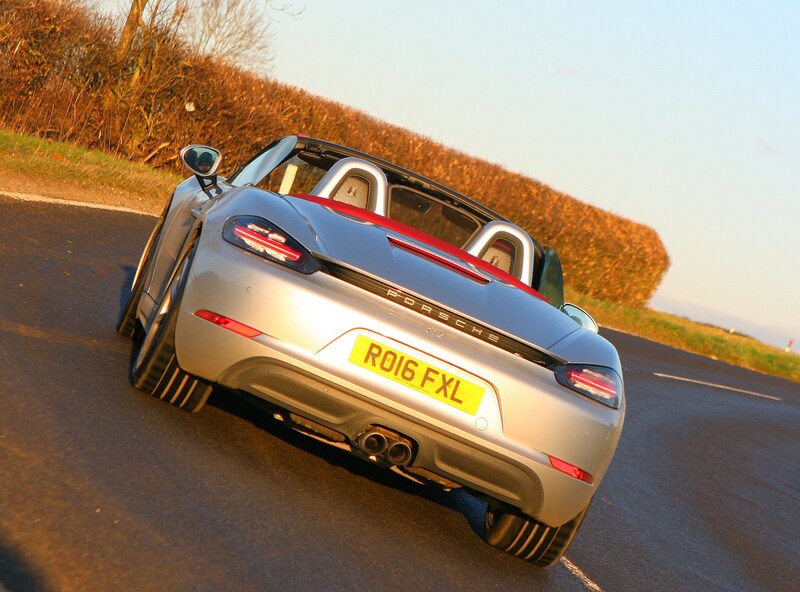 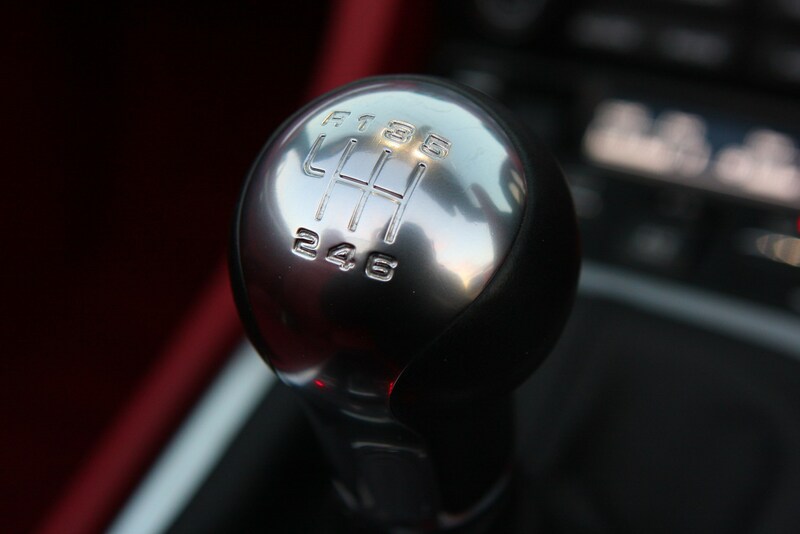 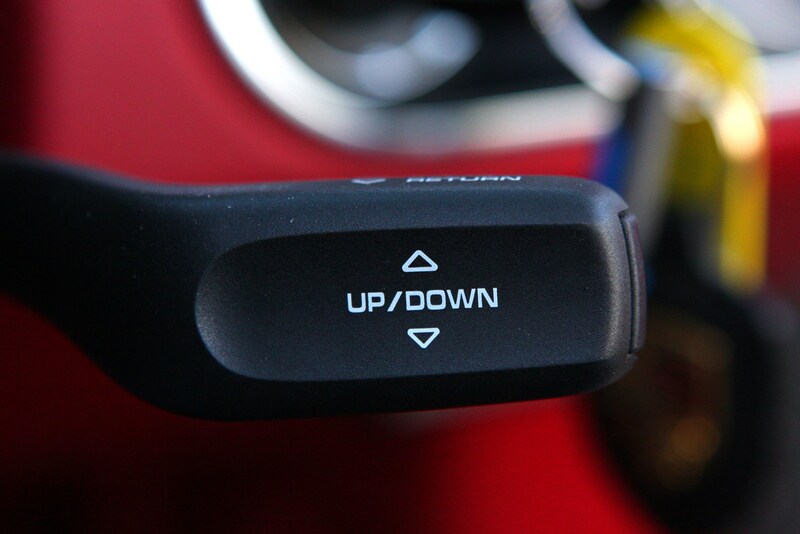 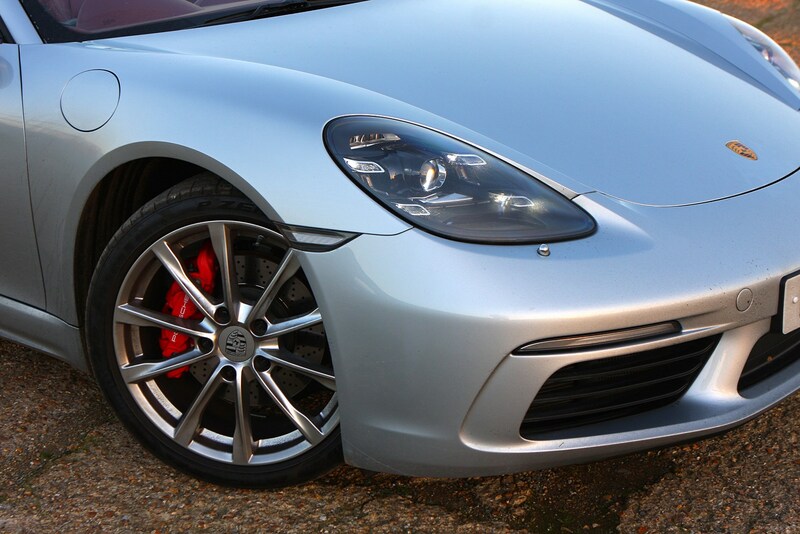 Driver upgrades include the adaptive Porsche Active Suspension Management system (PASM) with a 10mm lower ride height. 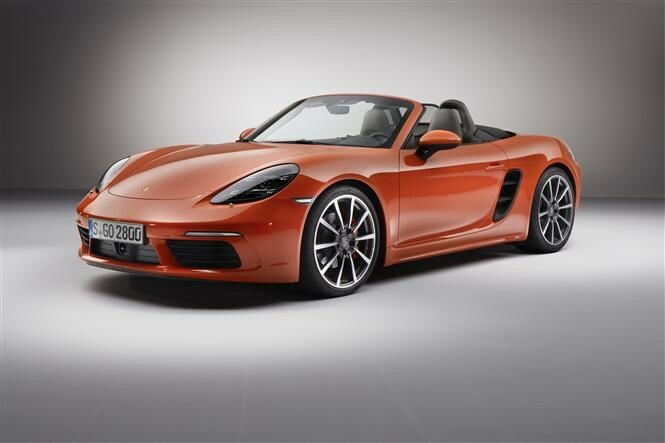 Plus there’s a PASM Sport Chassis with a 20mm lower ride height for the 718 Boxster S.
The Sport Chrono Package comes with an Individual programme in addition to the Normal, Sport and Sport Plus settings. 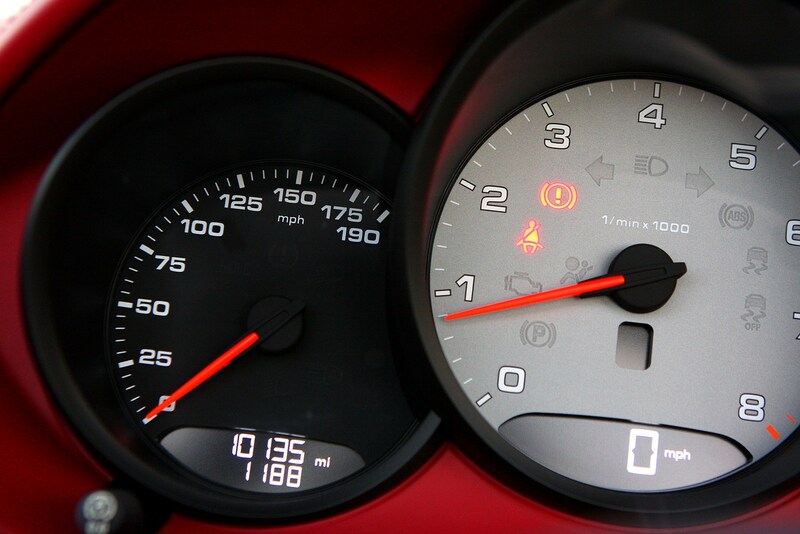 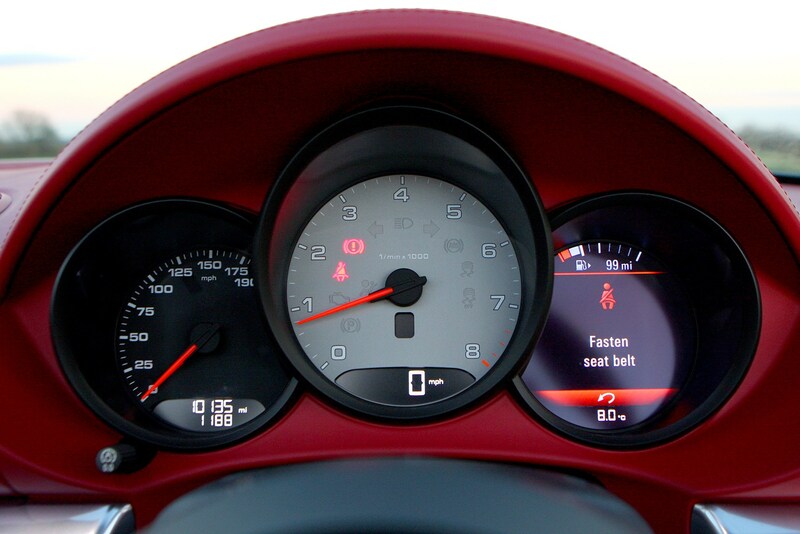 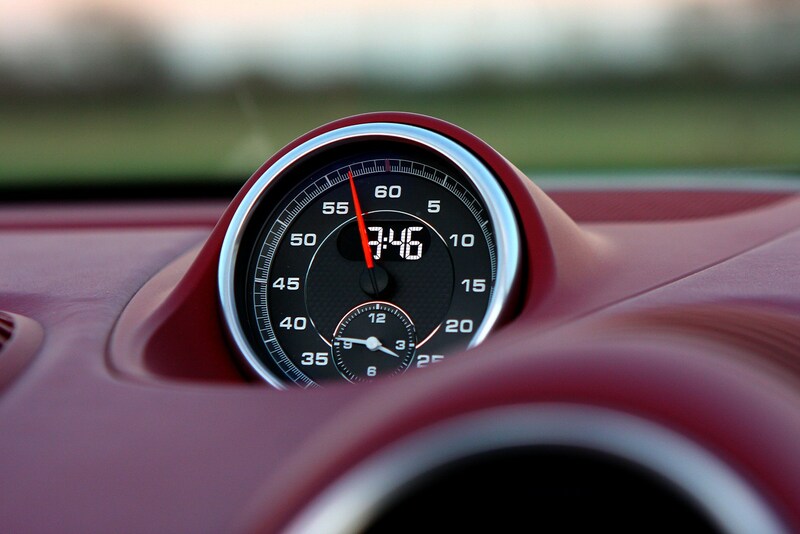 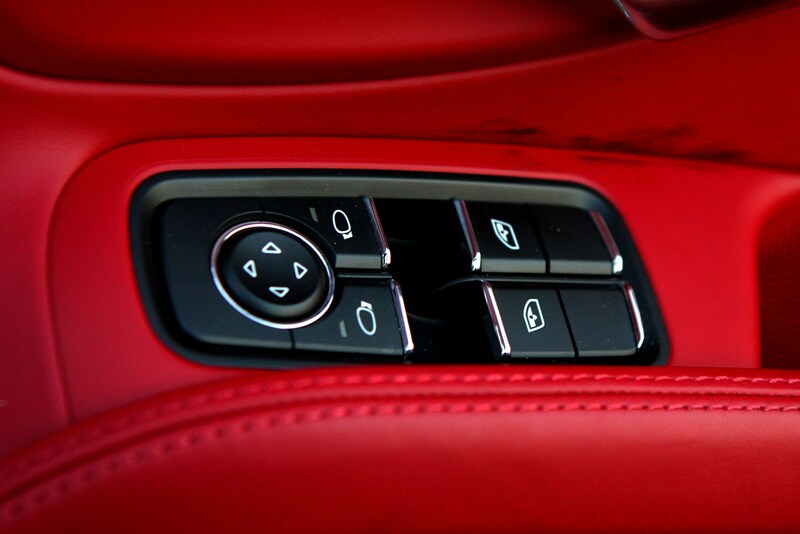 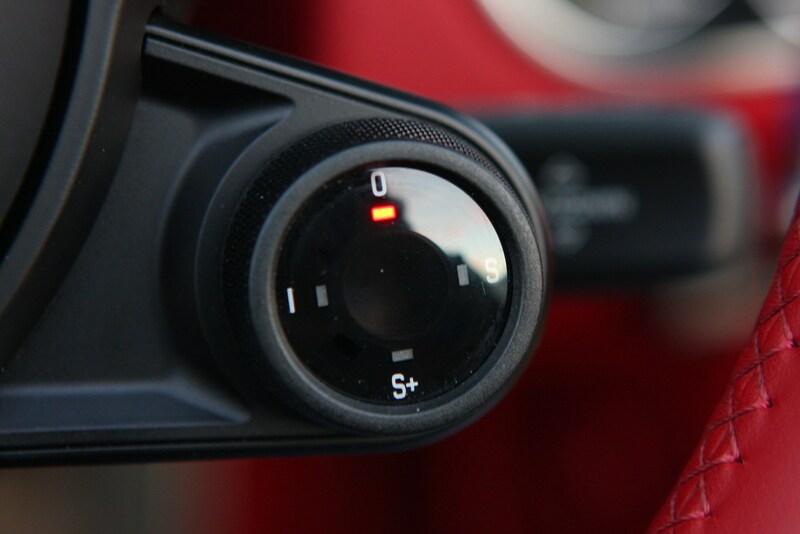 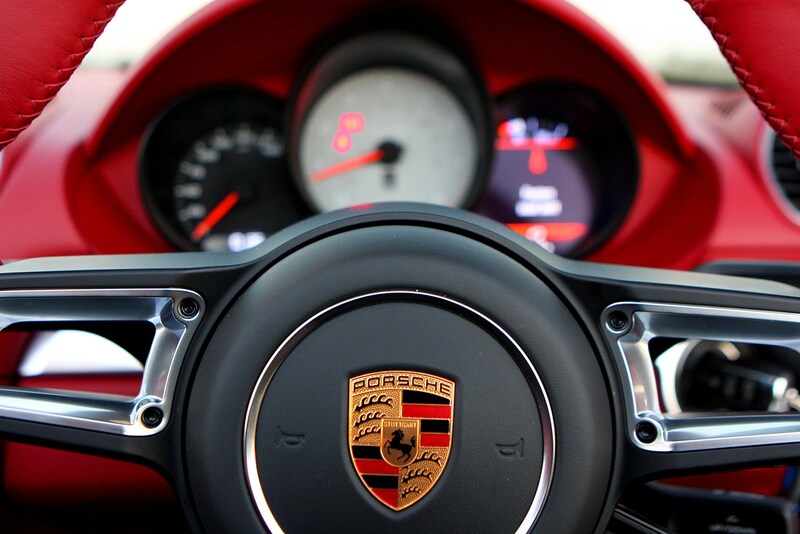 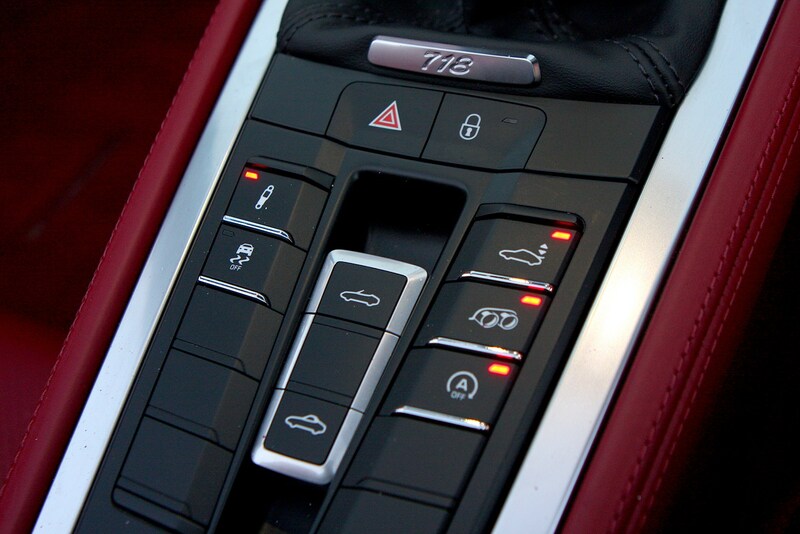 In combination with the PDK automatic box, the Sport Response Button primes the car for maximum responsiveness for 20 seconds, adding to the driving excitement. 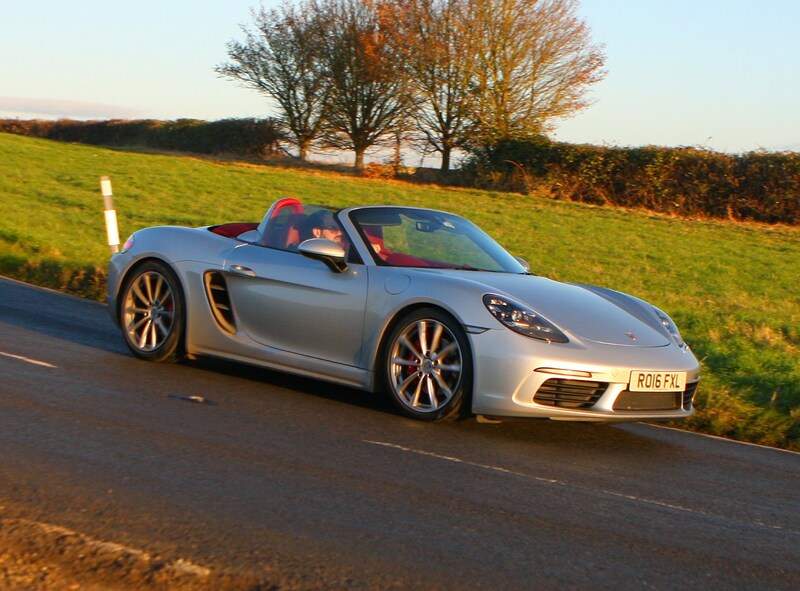 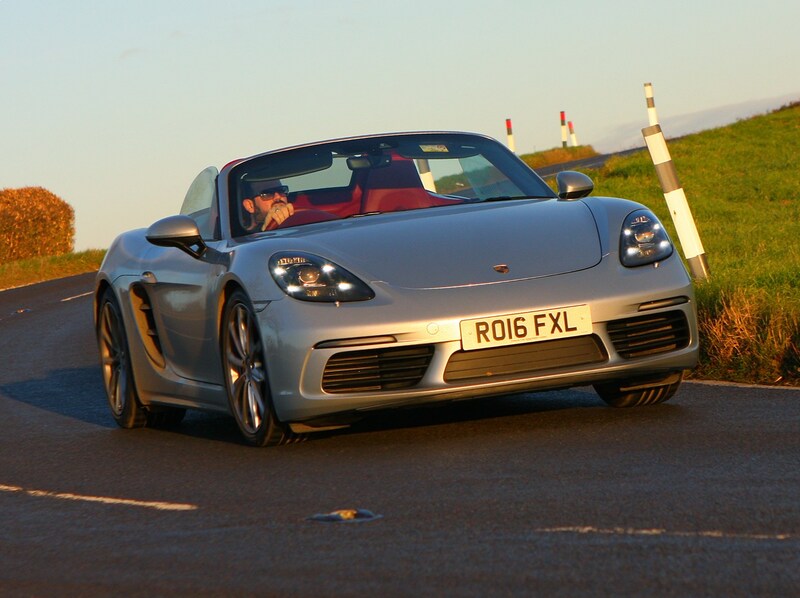 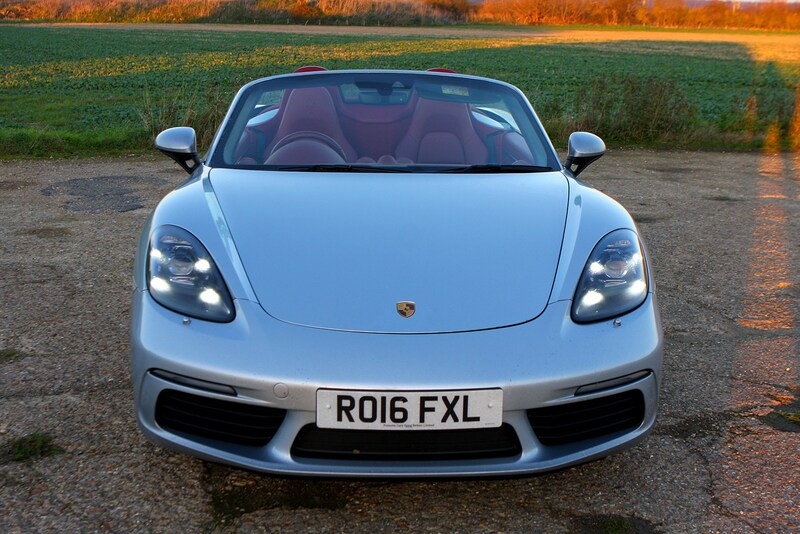 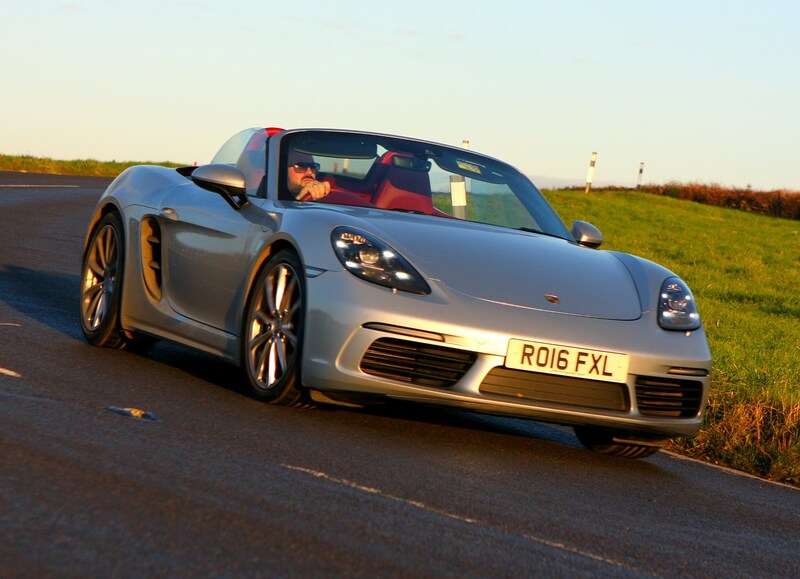 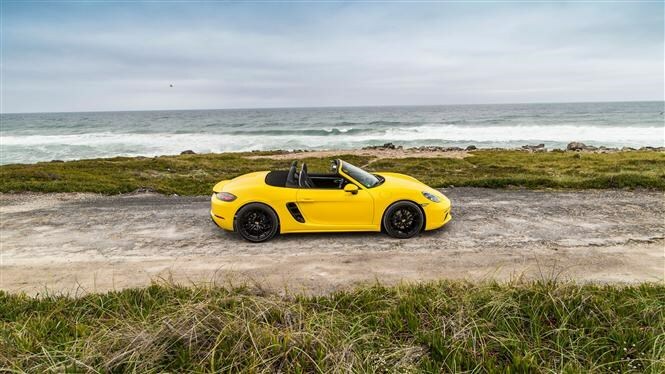 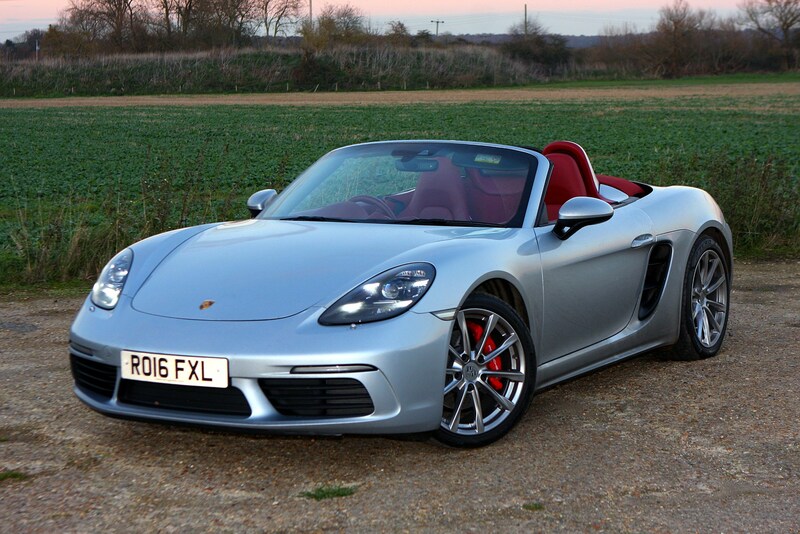 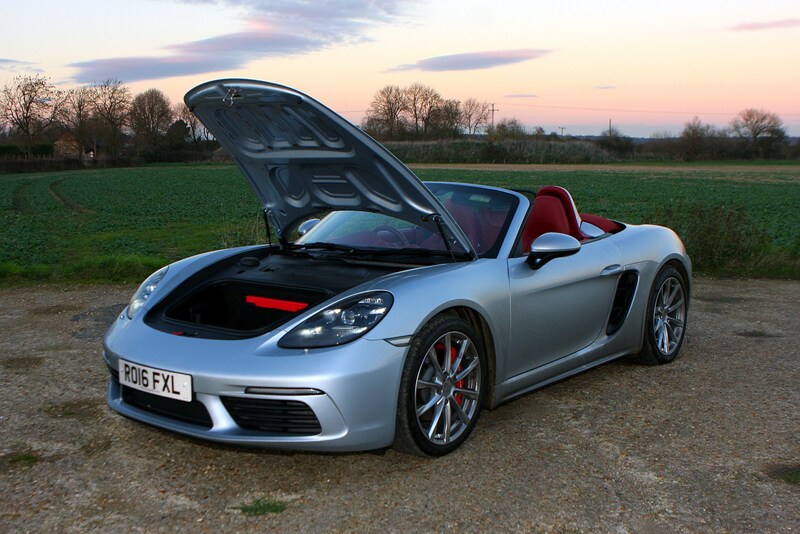 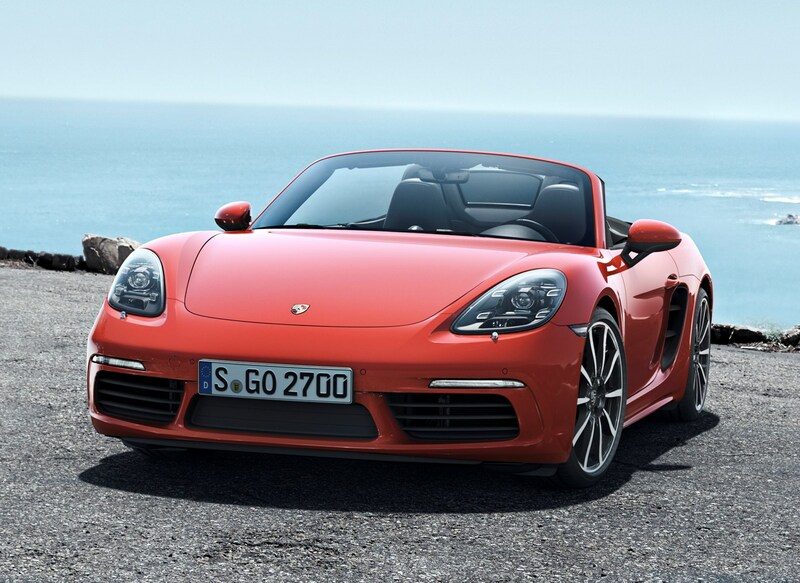 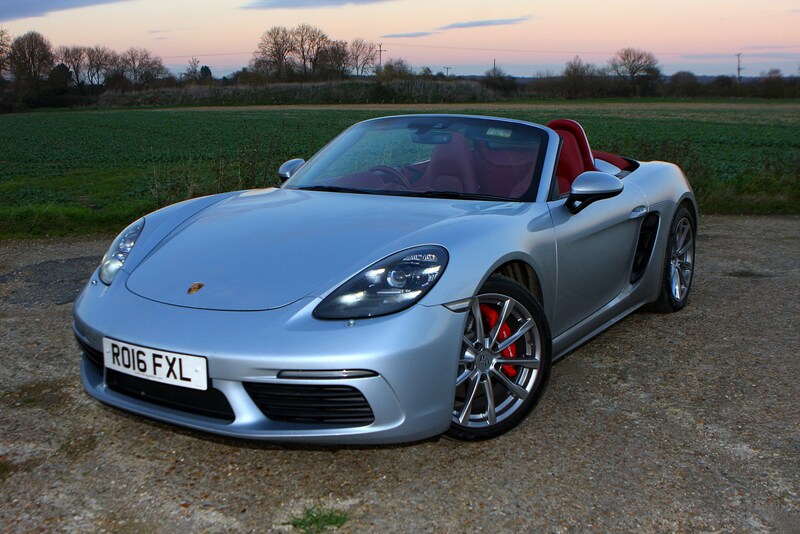 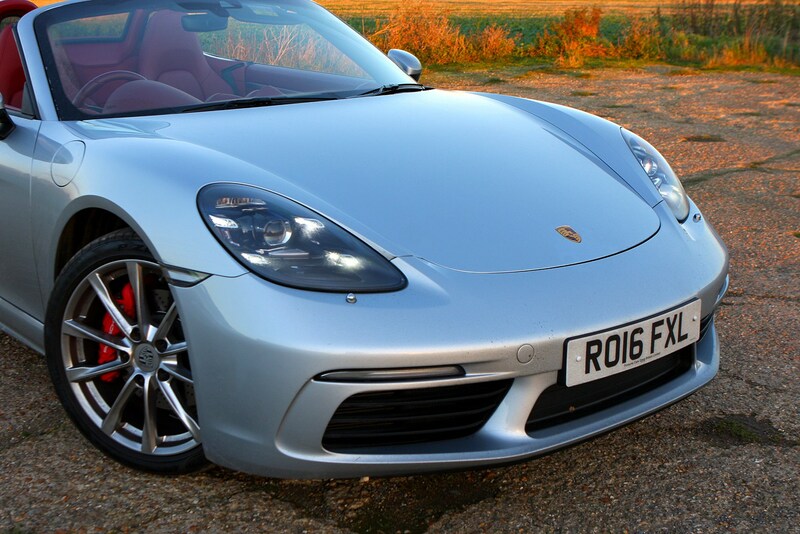 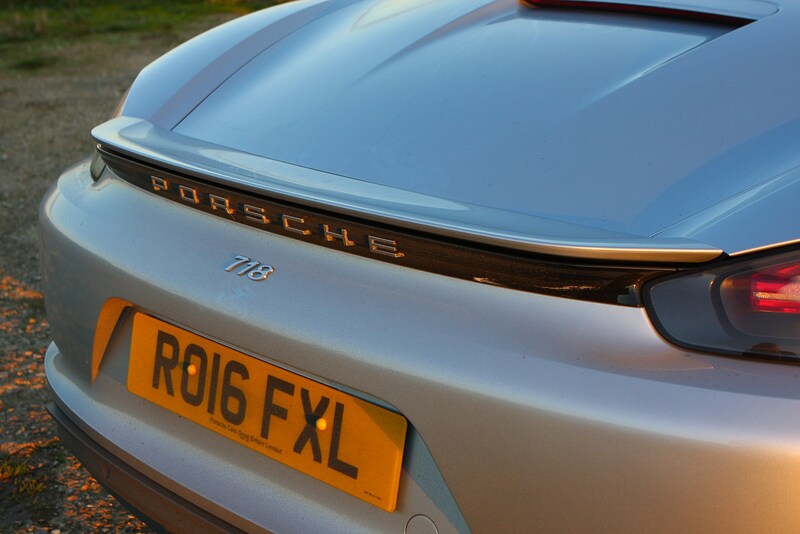 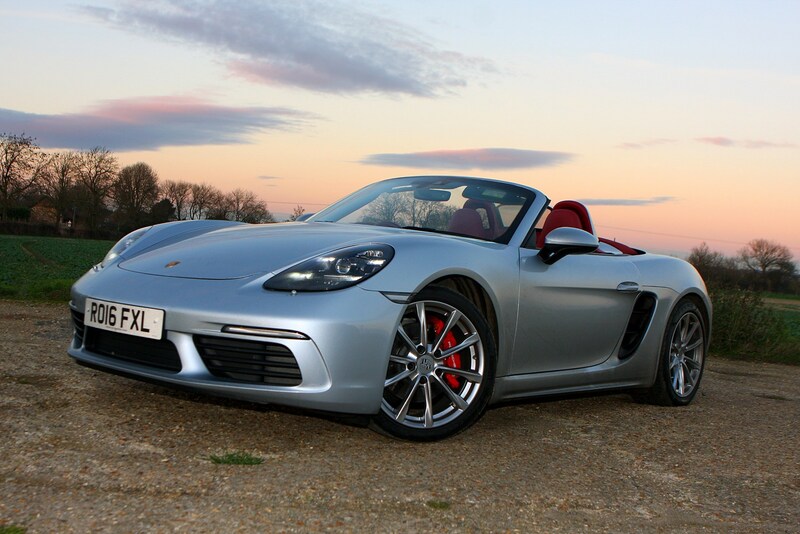 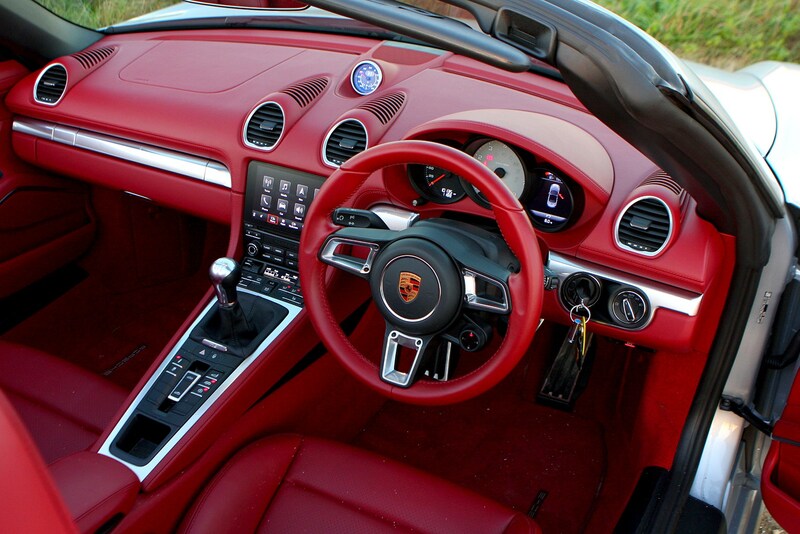 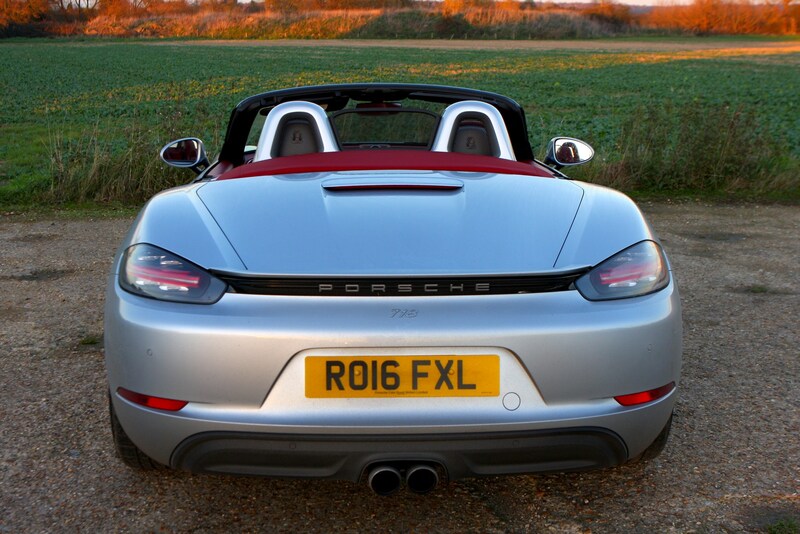 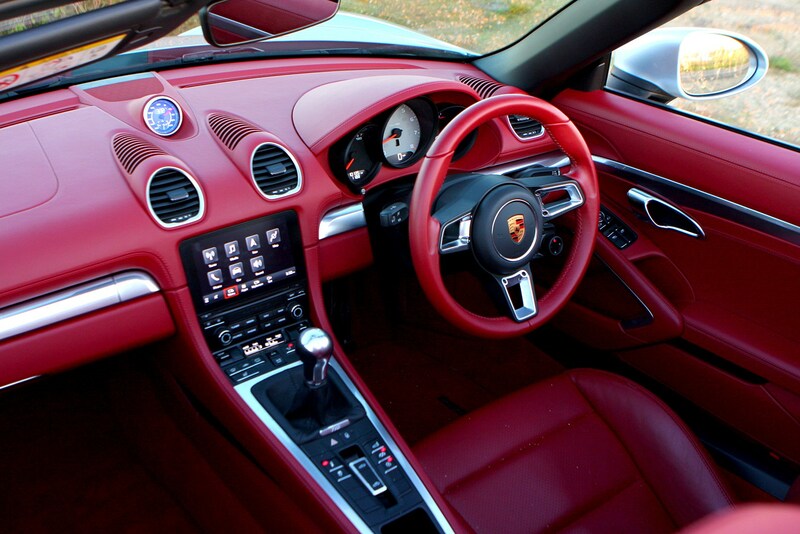 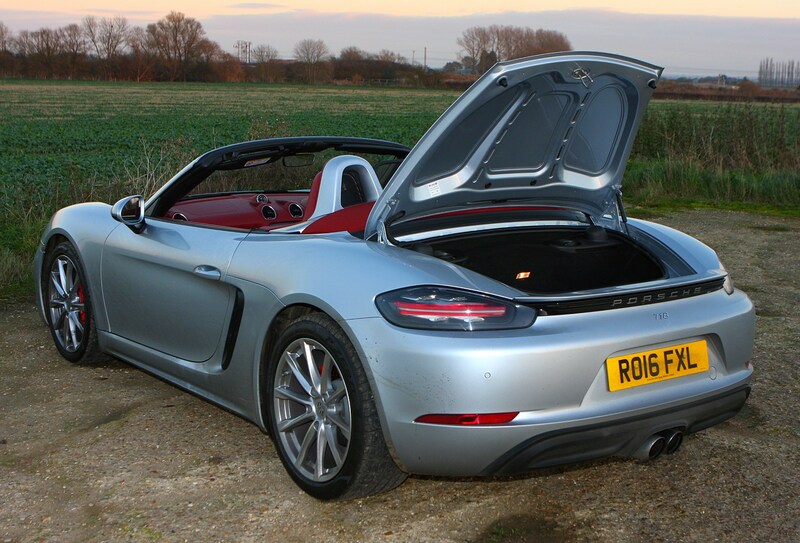 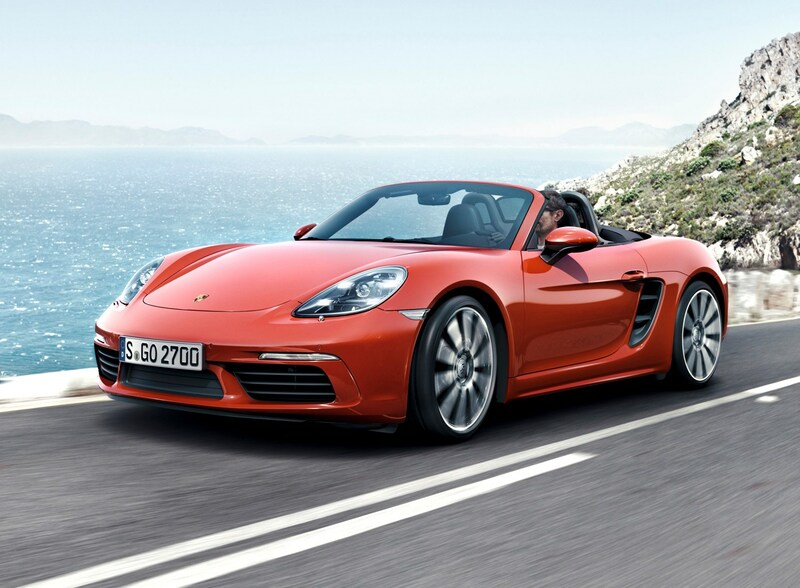 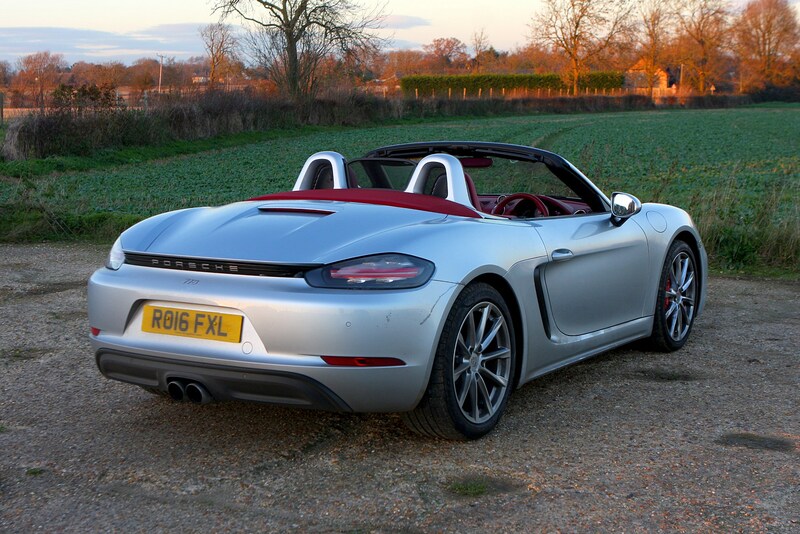 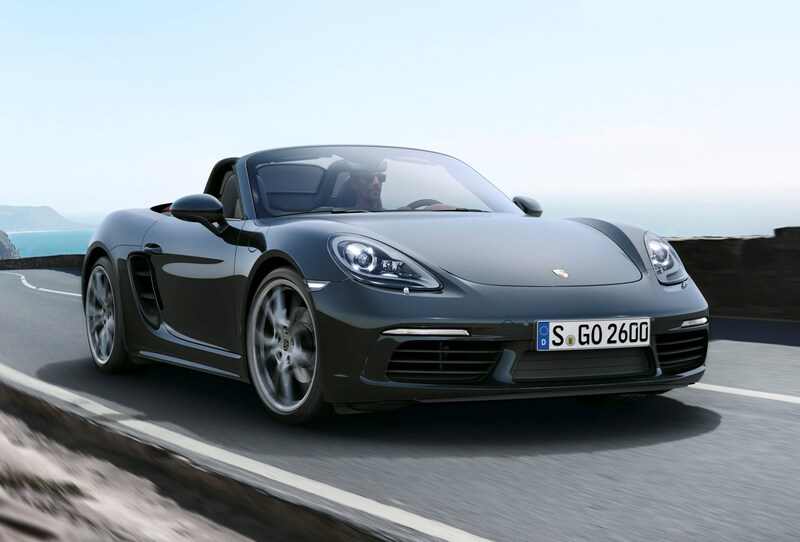 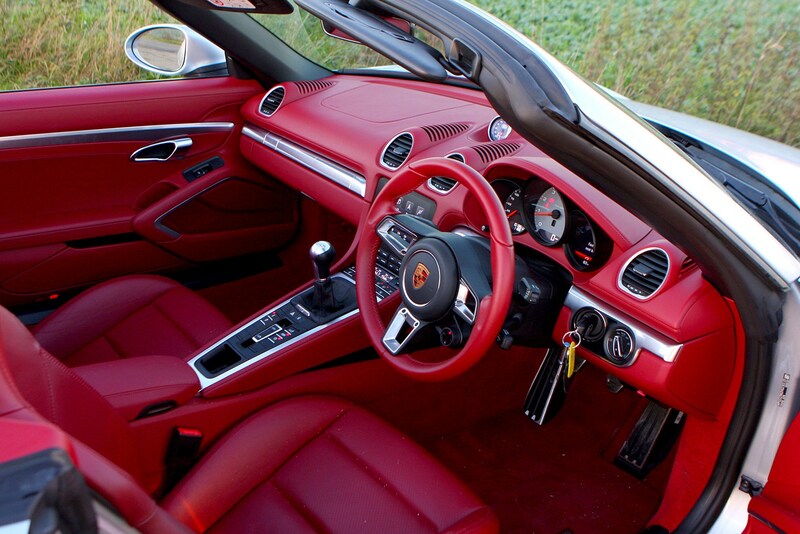 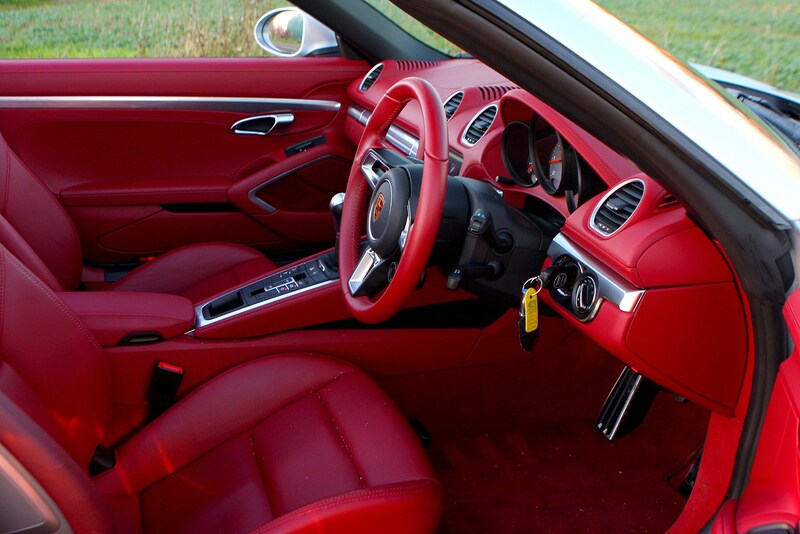 The previous Boxster was not crash tested by Euro NCAP and there’s no rating for this one either. 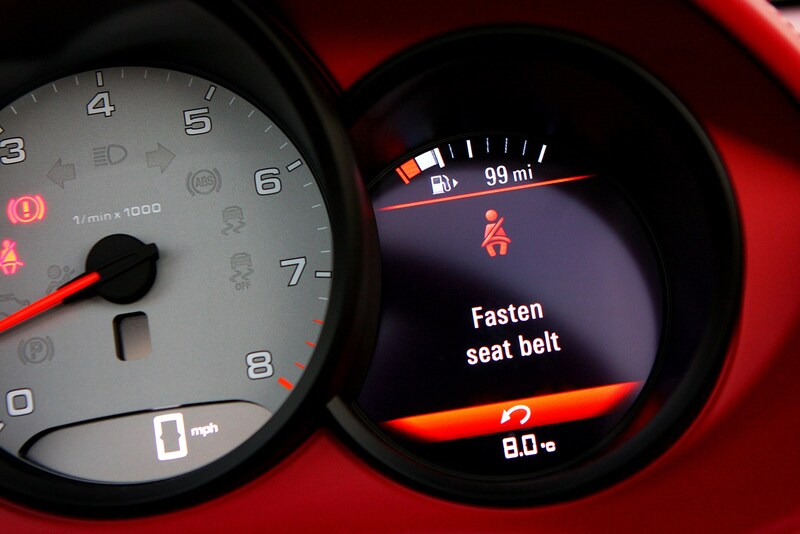 However, the body is very strong and it benefits from driver, passenger, side and head airbags that deploy in the event of a crash. 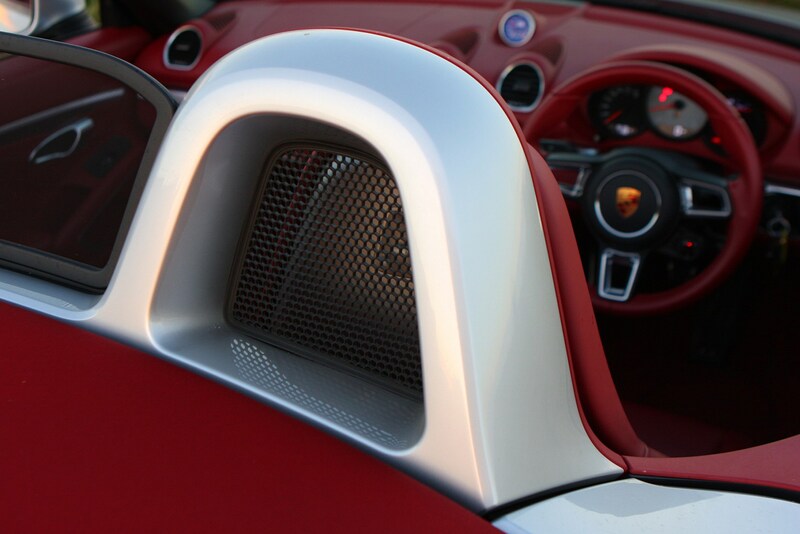 There are also rollover hoops behind the seats for protection if the car rolls over with the roof down – providing space to protect the occupants. 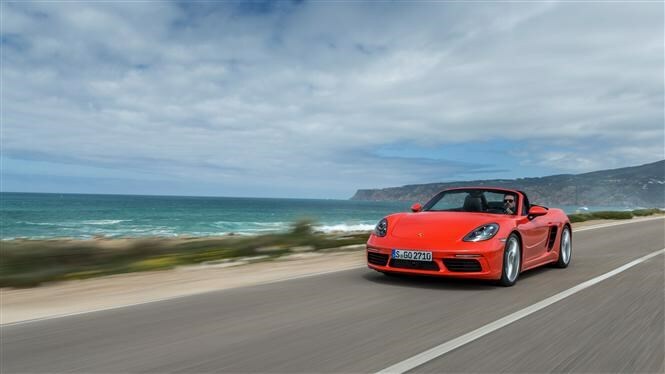 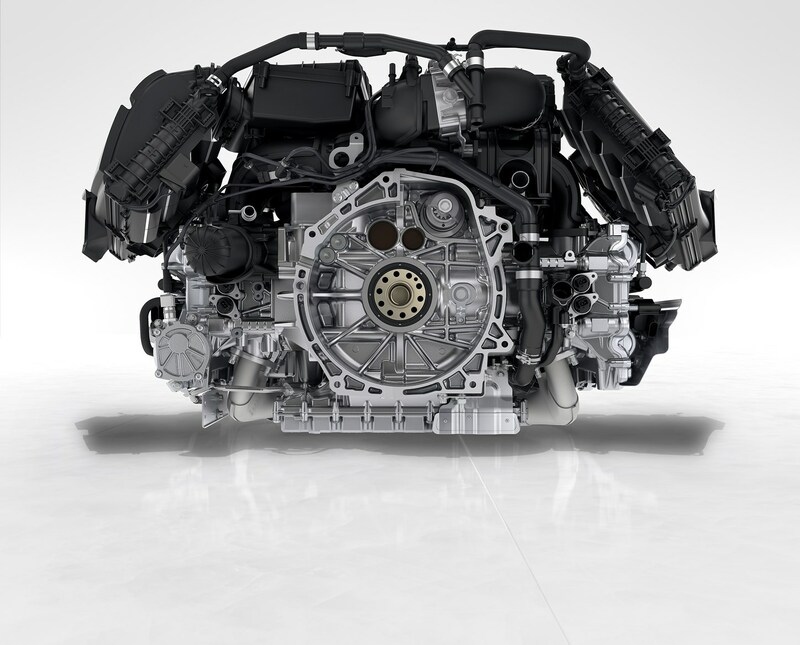 The comprehensive Porsche Stability Management system keeps things pointed down the road too, while beefy brakes provide plenty of stopping force, with optional brakes made from ceramic composite are available on the options list. 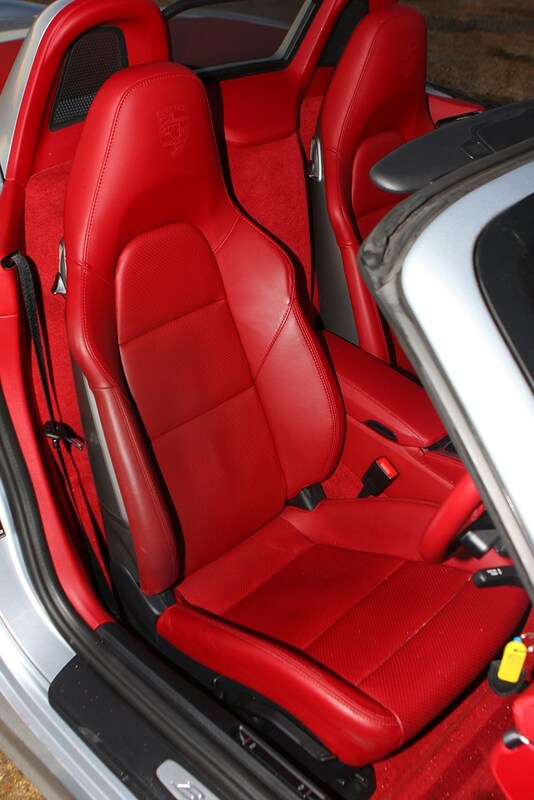 An Isofix point on the passenger seat is available as an optional extra. 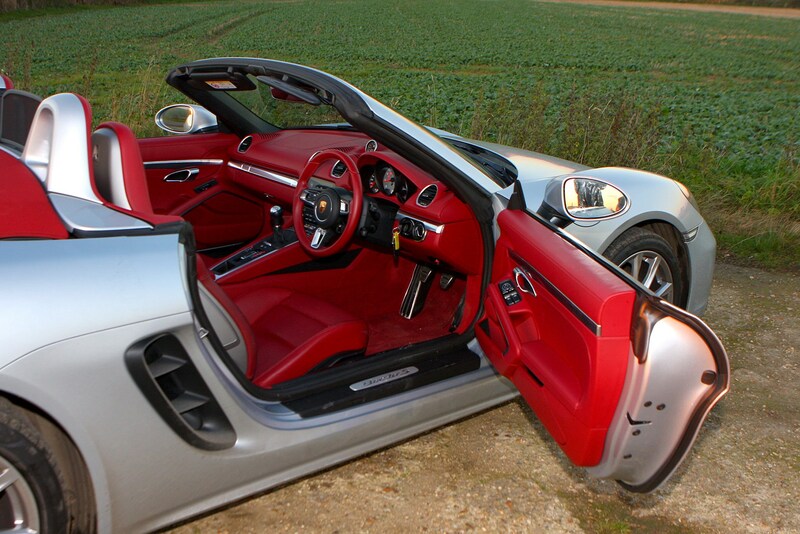 You don’t get a huge amount of cabin stowage space but the Boxster makes up for it with luggage capacity. 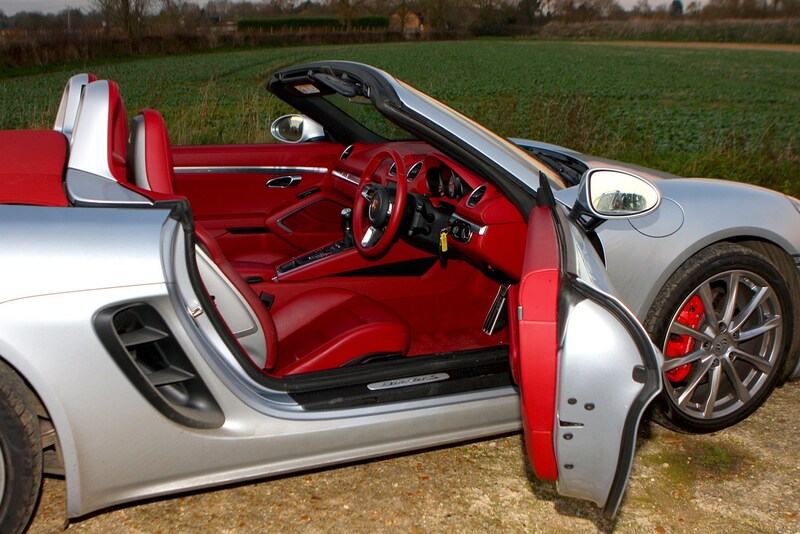 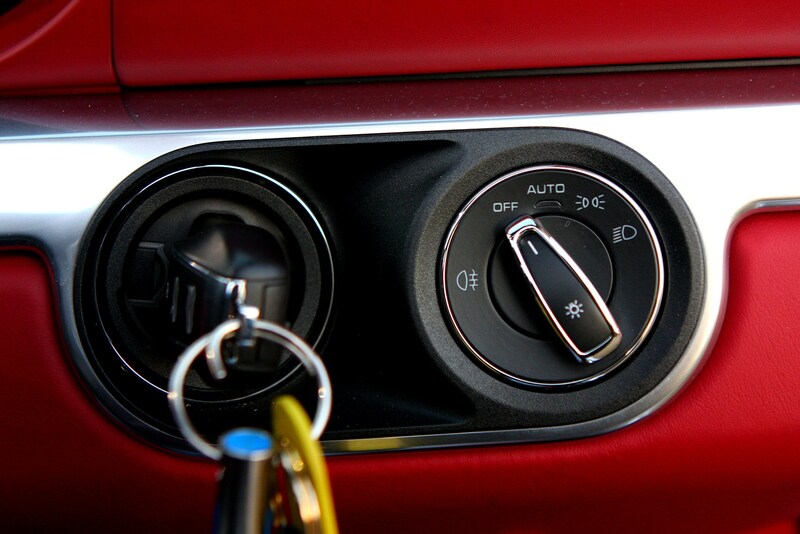 Due to the engine’s location behind the driver, mounted in the middle of the car, you effectively get two boots. 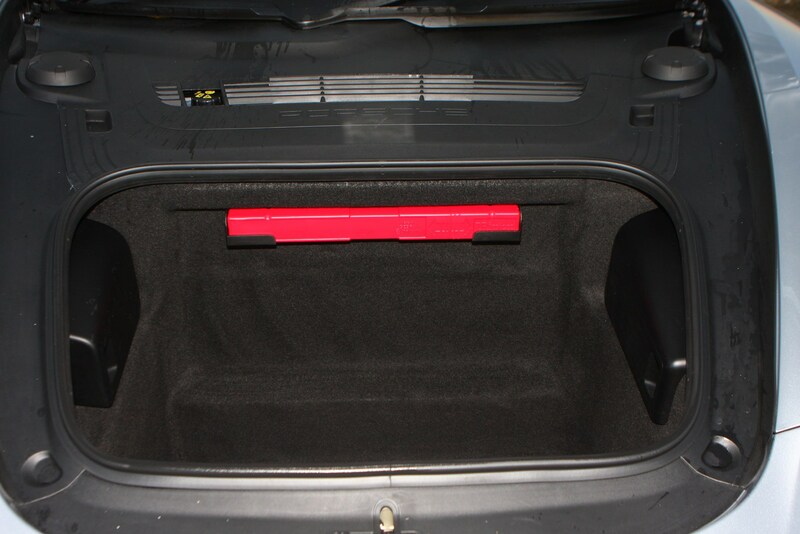 Under the front bonnet where the engine would normally go is 150 litres of space, and there’s another 125 litres in the boot. 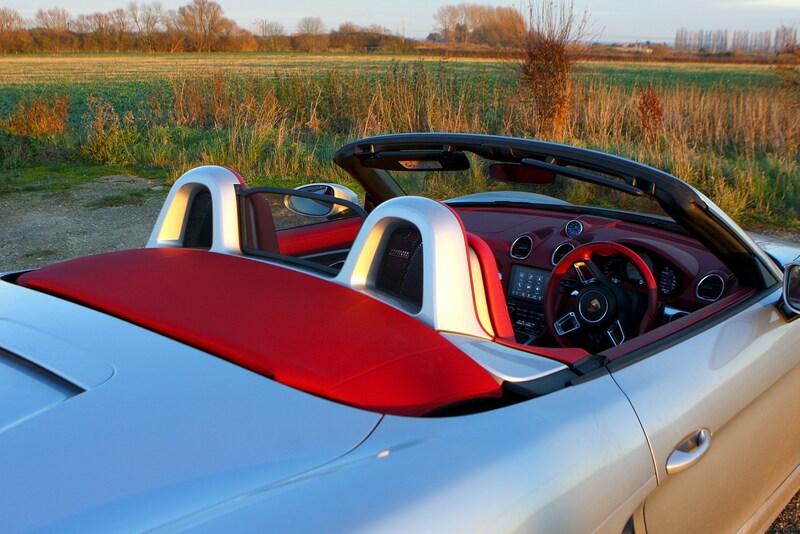 What’s more - unlike some convertibles - luggage space remains unchanged whether the roof is up or down. 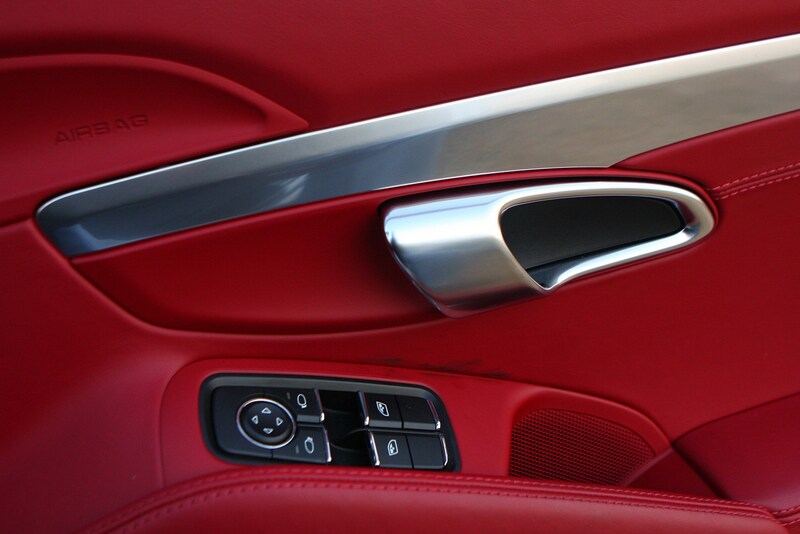 The door bins are tiny and there’s barely anywhere to stow your phone out of the way other than beneath the armrest, but at least there are two cupholders - the trademark twin cupholder arrangement that springs out from a slot above the glovebox. 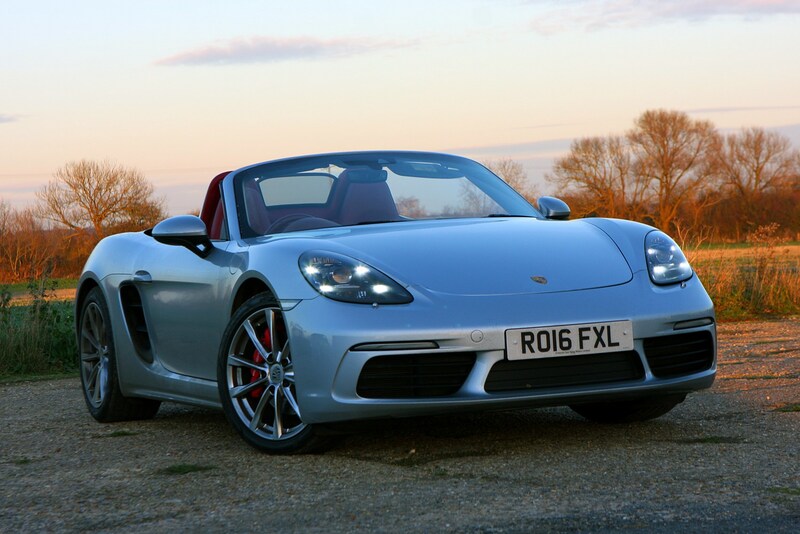 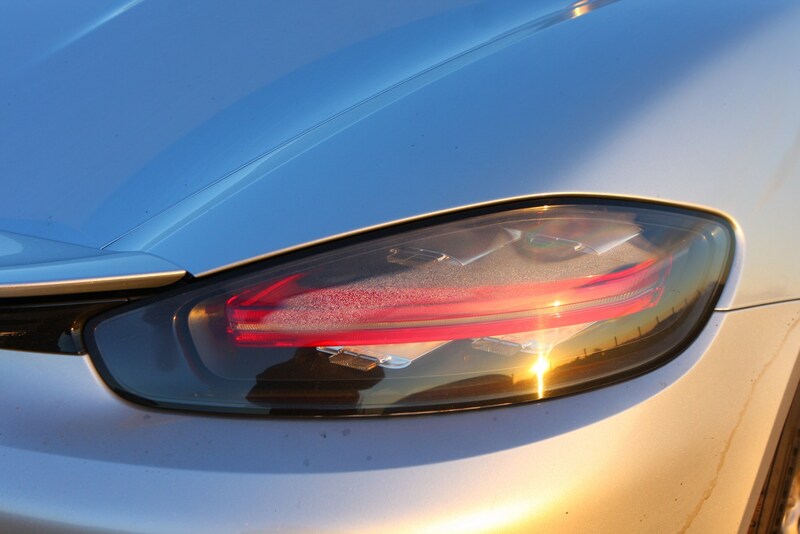 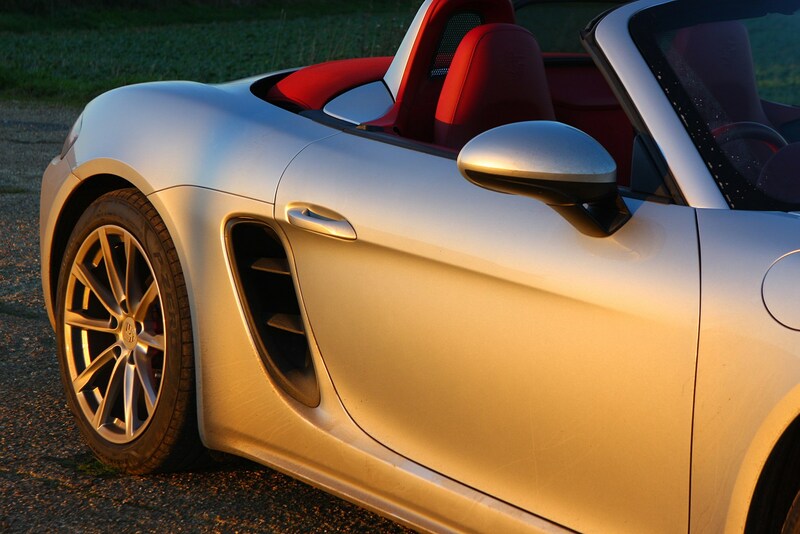 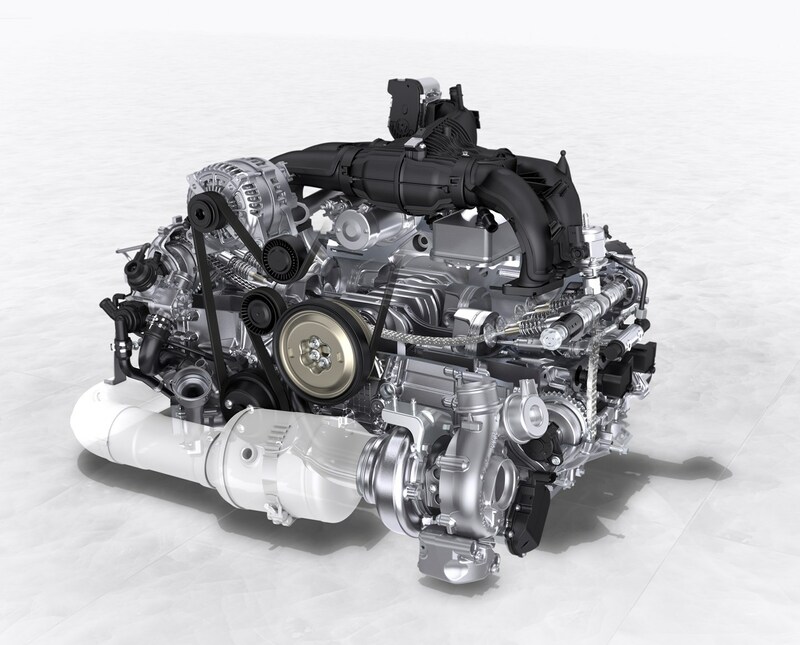 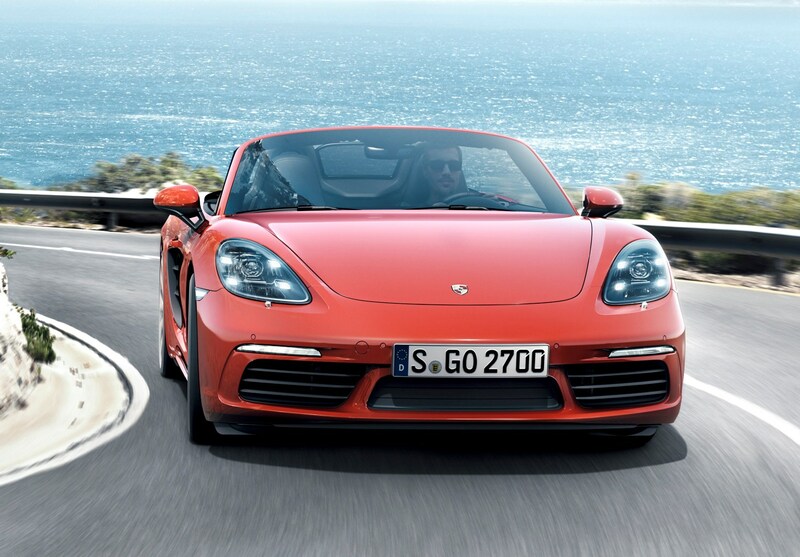 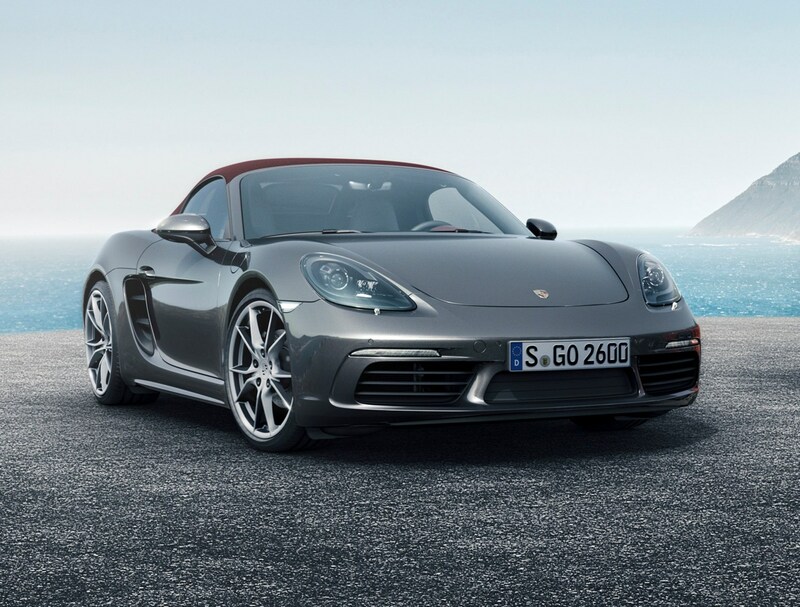 The Boxster is barely any bigger than a regular family hatchback, it’s just lower. 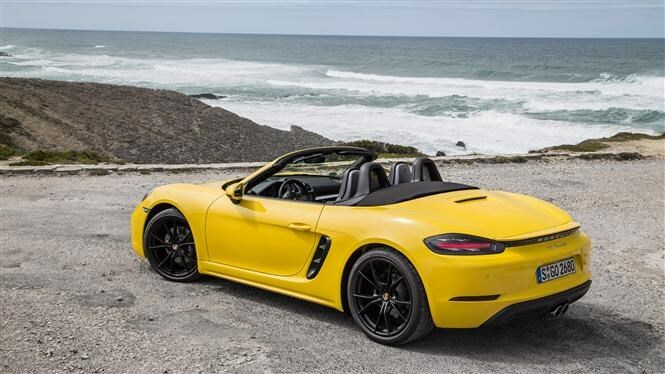 That means it easily fits in to town centre car parks and isn’t too intimating to drive around town or on tighter country lanes. 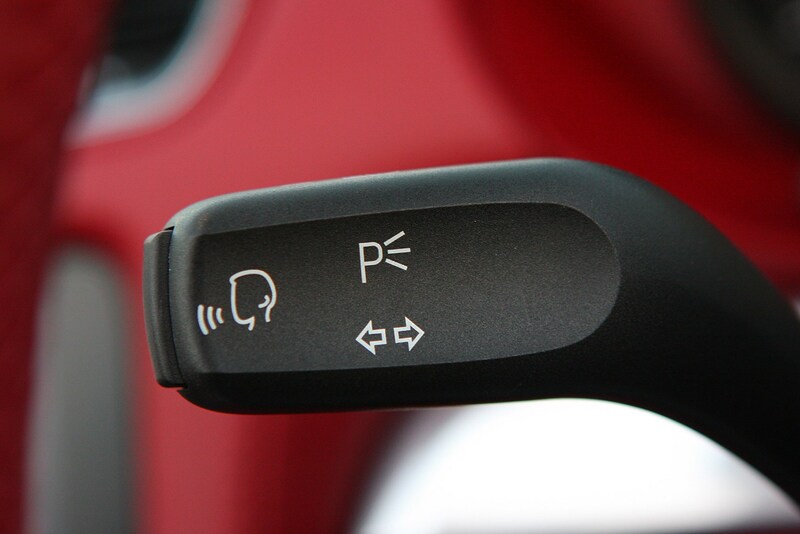 The only thing you’ll really notice is the low driving position which is great for feeling involved in the experience, but that does hamper visibility slightly at junctions or when manoeuvring. 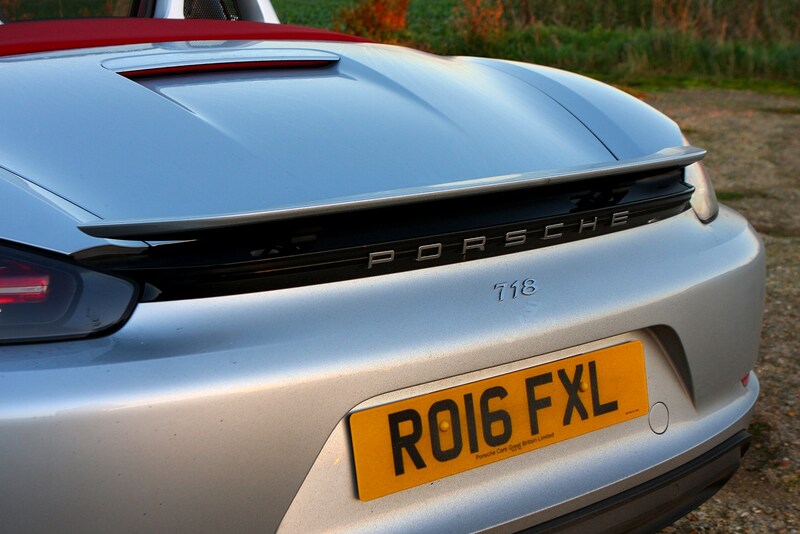 It’s especially apparent with the roof up and if the car doesn’t have parking sensors or a camera. 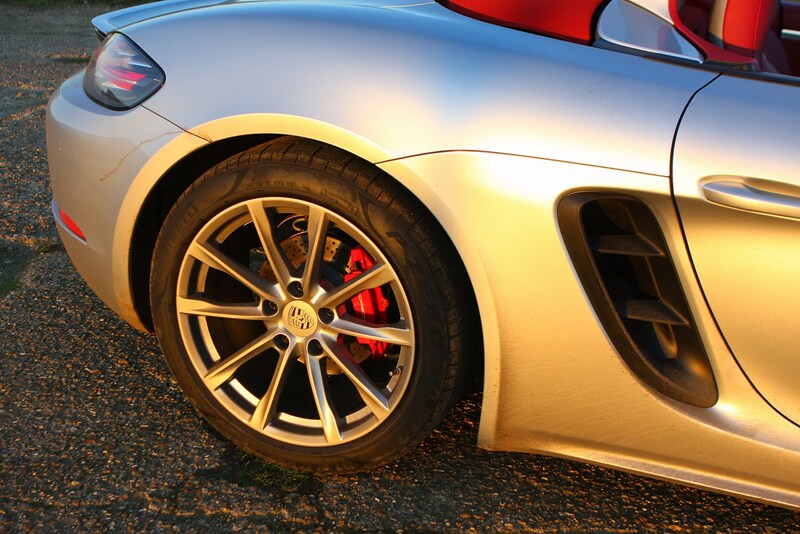 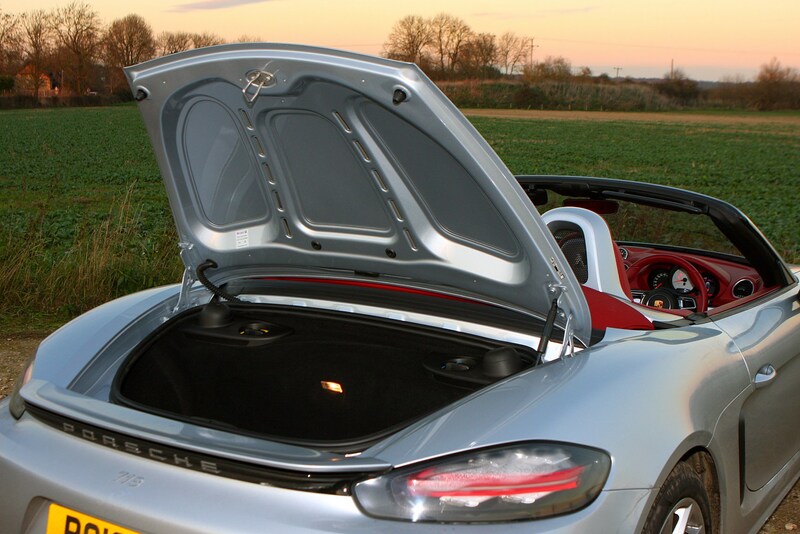 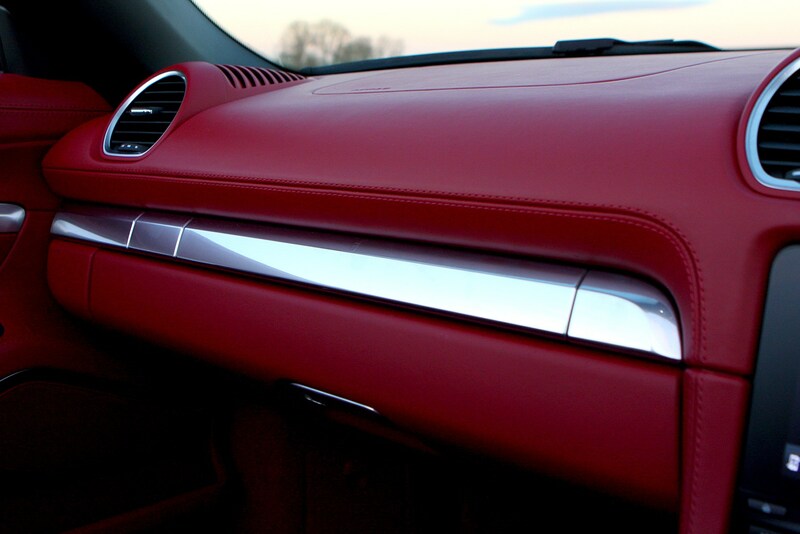 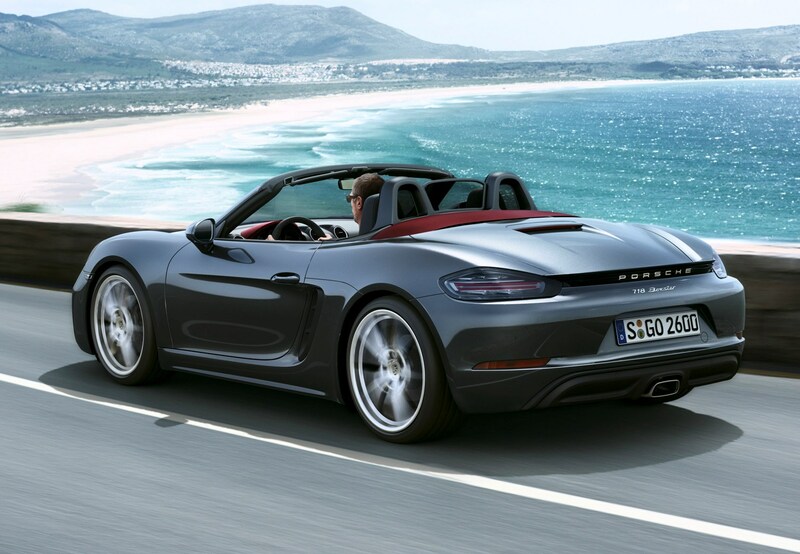 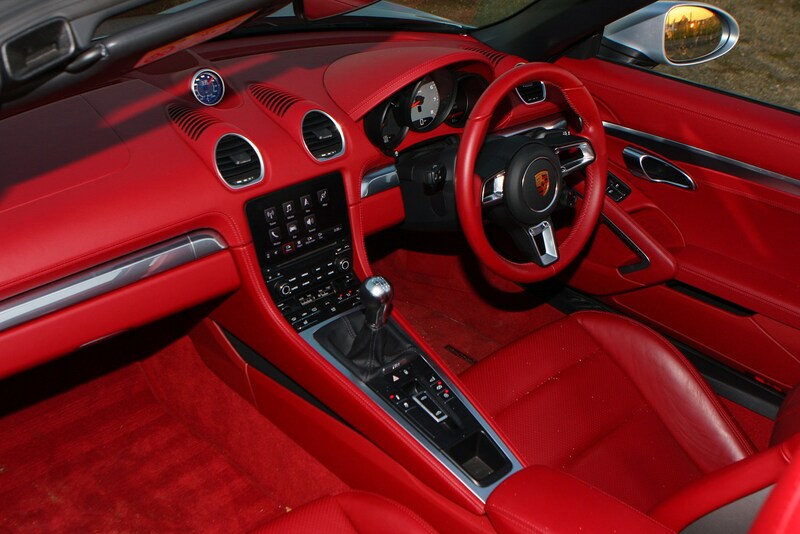 A total of 275 litres of luggage space is available in the Boxster, albeit split between two load areas. 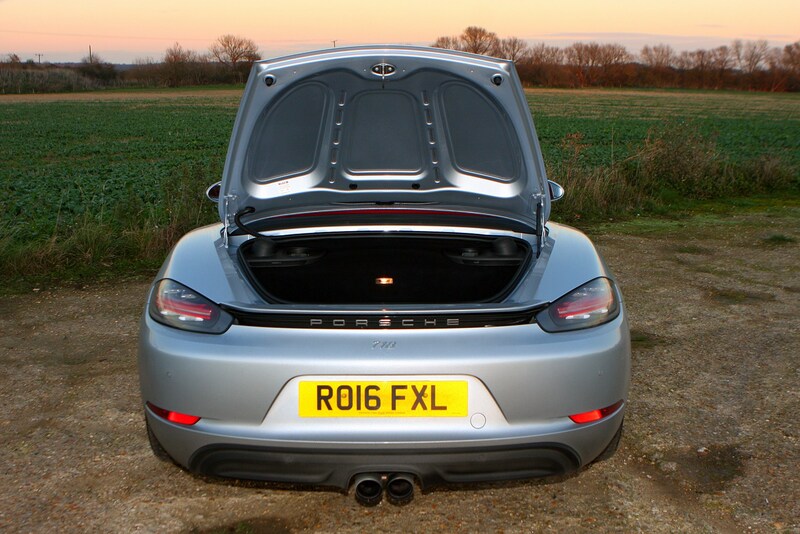 One’s at the front where you’d normally find an engine, offering 150 litres, while there’s also a 125-litre boot located behind the engine at the back of the car. 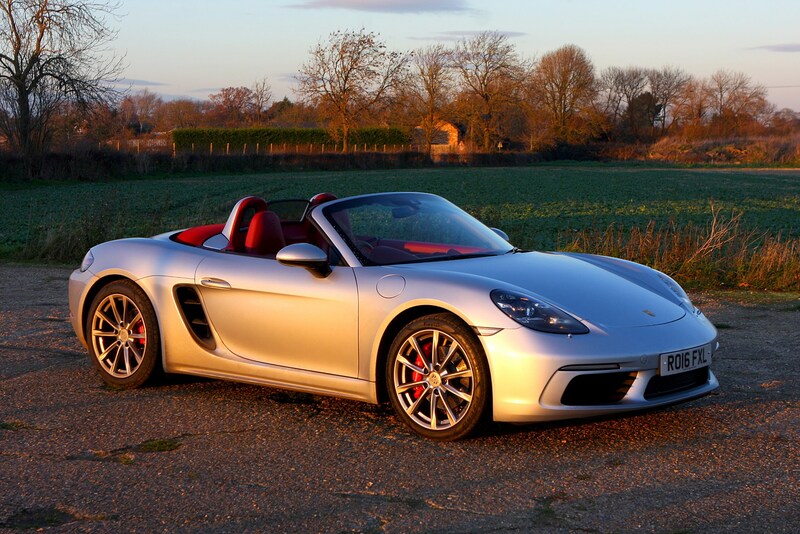 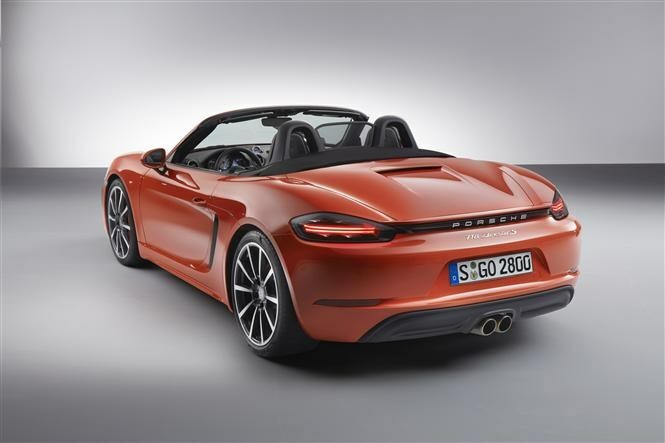 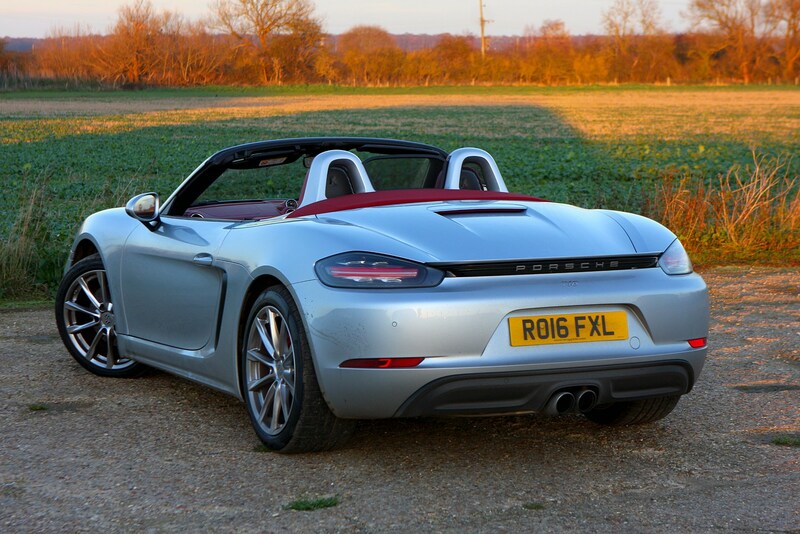 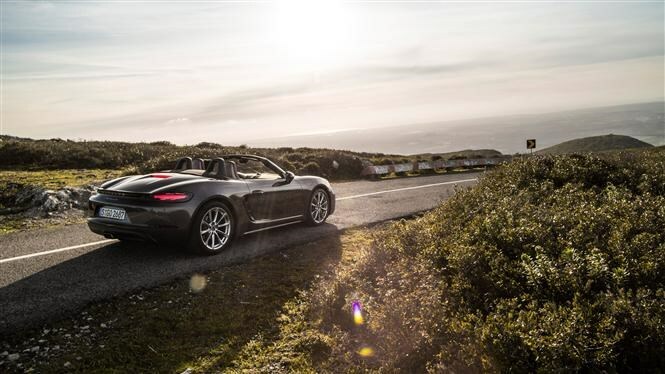 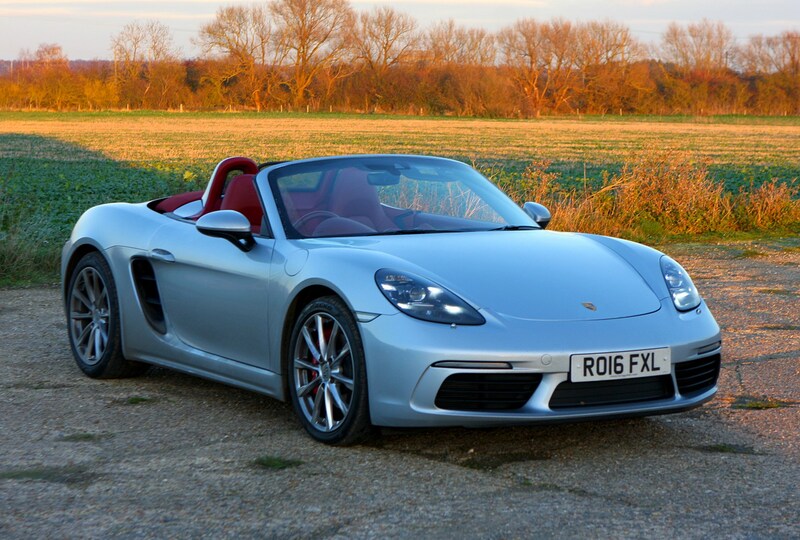 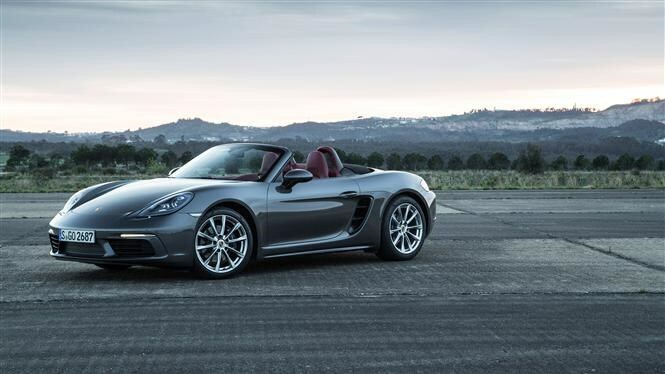 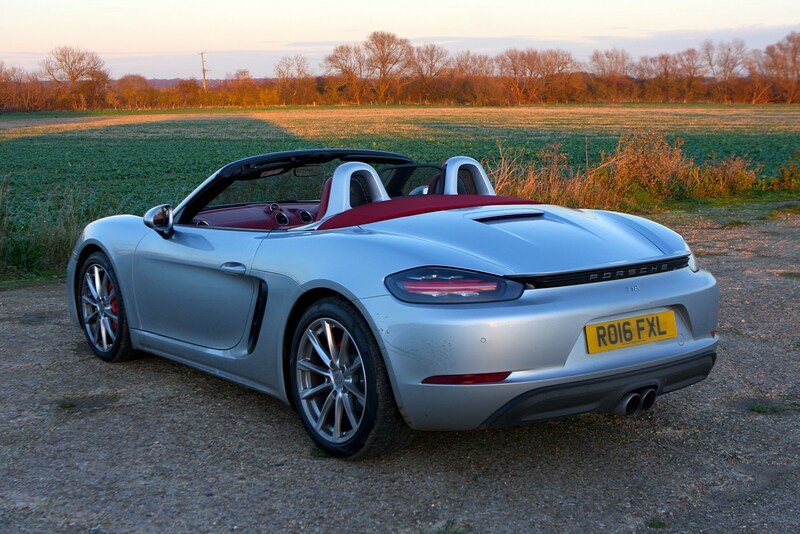 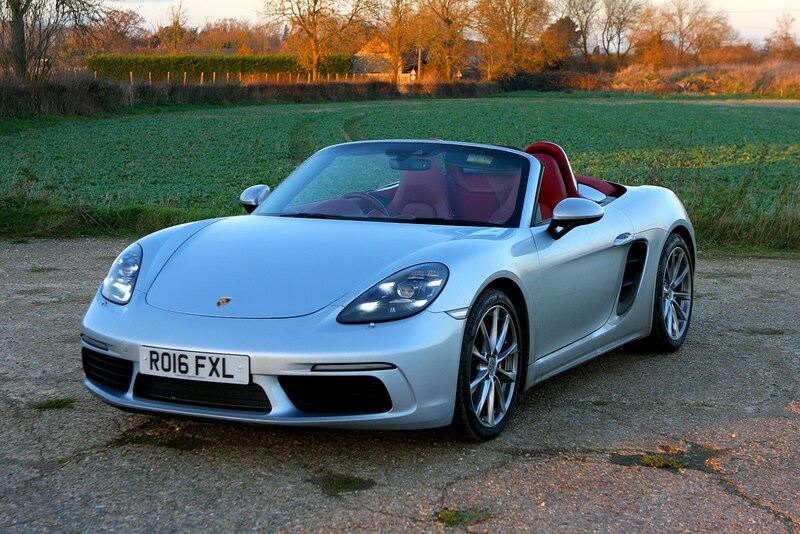 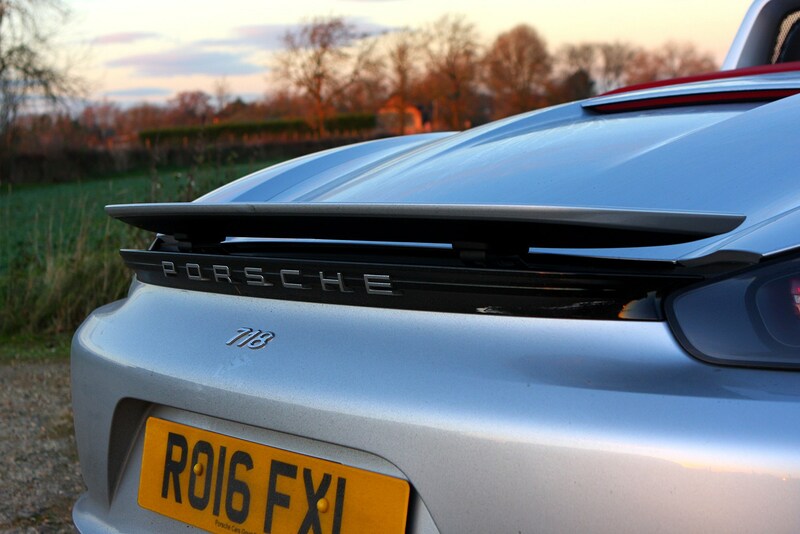 This makes the Boxster a surprisingly practical two-seat sports car, and one that you could easily use for a weekend away with a couple of squashy bags. 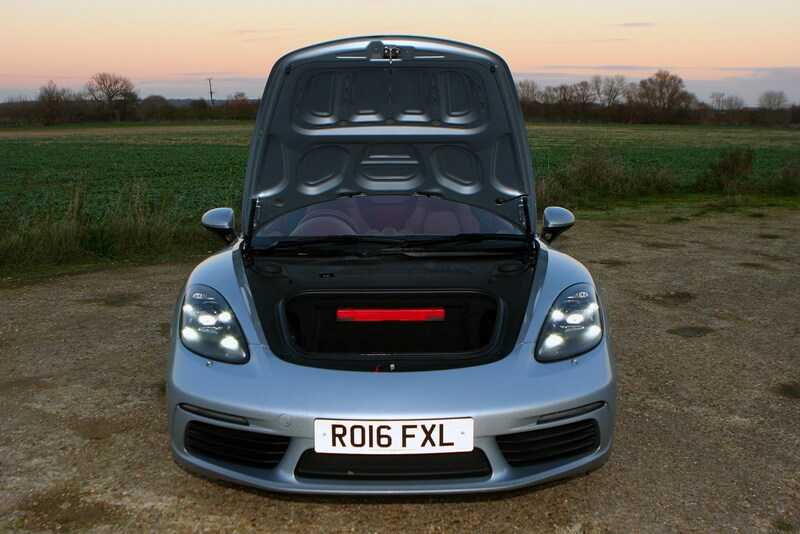 And, because the fabric roof folds behind the seats and engine is mid-mounted, it doesn’t impinge on boot space when it’s down, either. 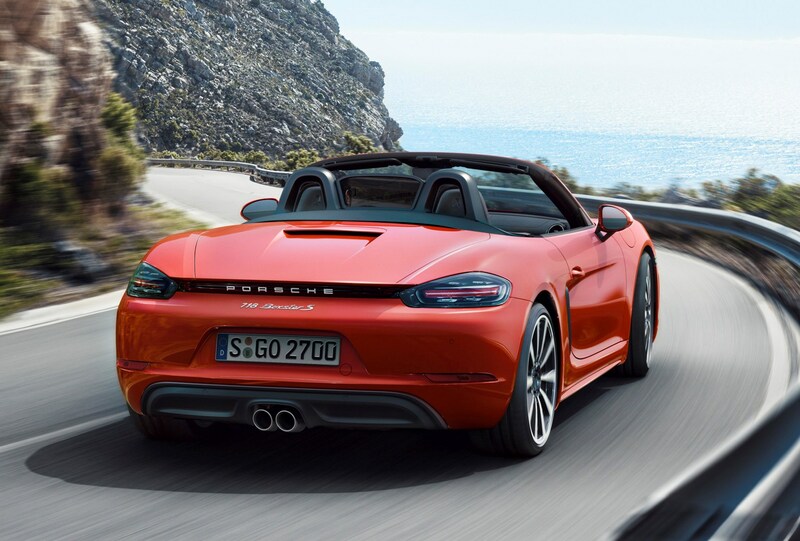 Check the table below to see how the Porsche 718 Boxster Convertible compares to other similar cars in terms of available boot space.